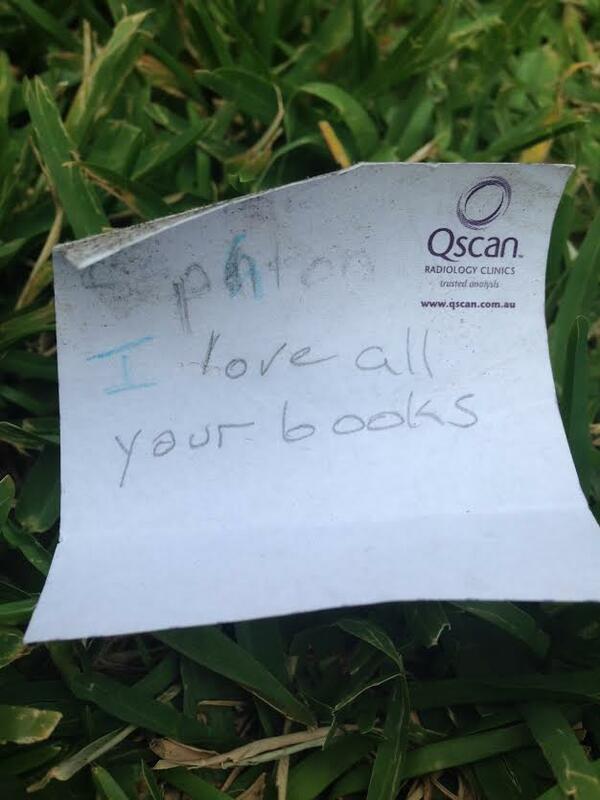 I found this in the grass at Brisbane Writers Festival today. It reminded me that sometimes, speaking is just too scary and you have to write it down instead. It’s part of the reason I like writing. Jasmine could speak perfectly well. Though no one ever knew that. She wrote everything. It was easier, slower, more thought out. She didn’t have to see reactions immediately. Most people put up with it as an eccentricity. But they didn’t really get it. One day she played a game of chess with a woman. The woman tried to strike up conversation but her words fell to the floor with a thud. Jasmine did not dare pick them up. So the only noise was the click of the pieces as they travelled across the board. After their game, Jasmine wrote her a letter. She didn’t usually get replies and if she did they always asked her why writing? Why not speaking? But the woman did reply and there was no mention of talk. Just a time and place for the next game of chess. They have been writing and playing together for 40 years now, and to this day, they have never heard each others voices.